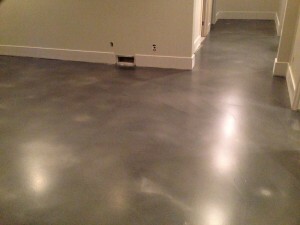 Time to resurface your concrete basement floor? Concrete finishes not only enhance a basement floor’s appearance and improve its functionality, it can also save you time and money! 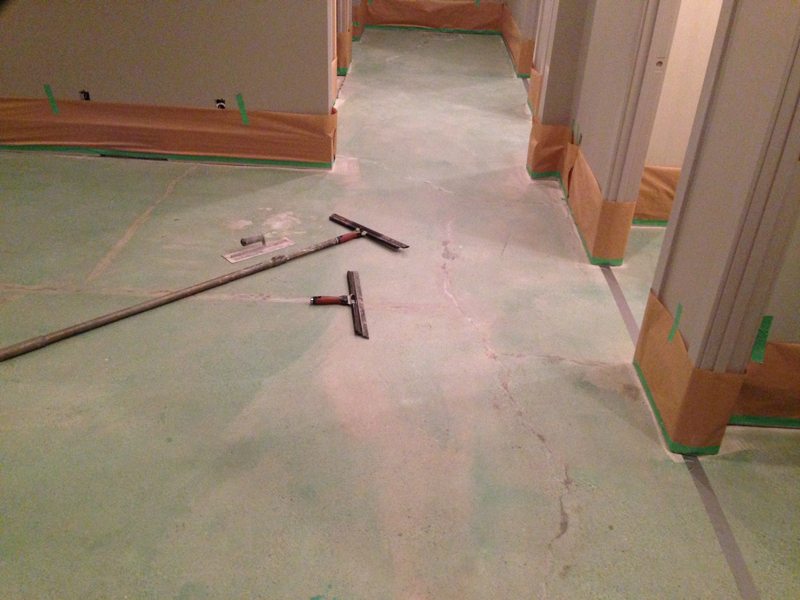 This cracked up basement floor was beautifully restored by Hardscapes Inc.
After grinding and patching, the floor received an overlay of Elite Crete’s thin Finish. Once dry, it was stained for a gorgeous titanium mottling. Top coated with Elite Crete E100 PT1 epoxy and a satin polyurethane, this floor will stand up to the daily abuse of kids, toys, pets etc. 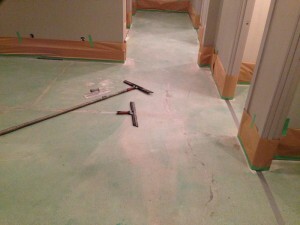 Hire the experts to restore your basement floor so it’s a more inviting environment to spend time in. Call Hardscapes Inc. at 403-547-5597.